No, there are no sharks in this cove. No, it isn’t shaped like a shark. No, I don’t know why it’s called Shark’s Cove. But it was a very neat beach. It’s like the lava rock created a barrier to the ocean so that there were calm waters where one could play. 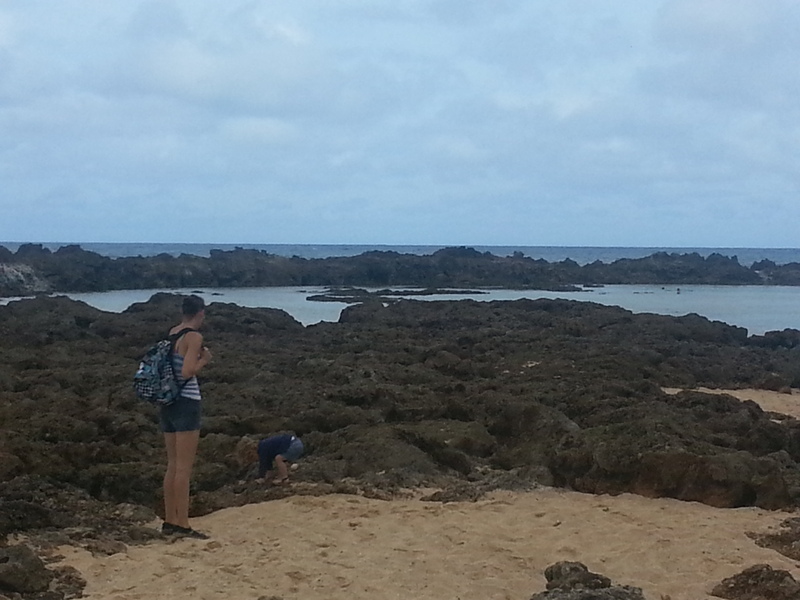 The basin of water is surrounded by lava rock, which forms tide pools at low tide. My little Miss Mara LOVES the water! All she wanted to do was be in the water. 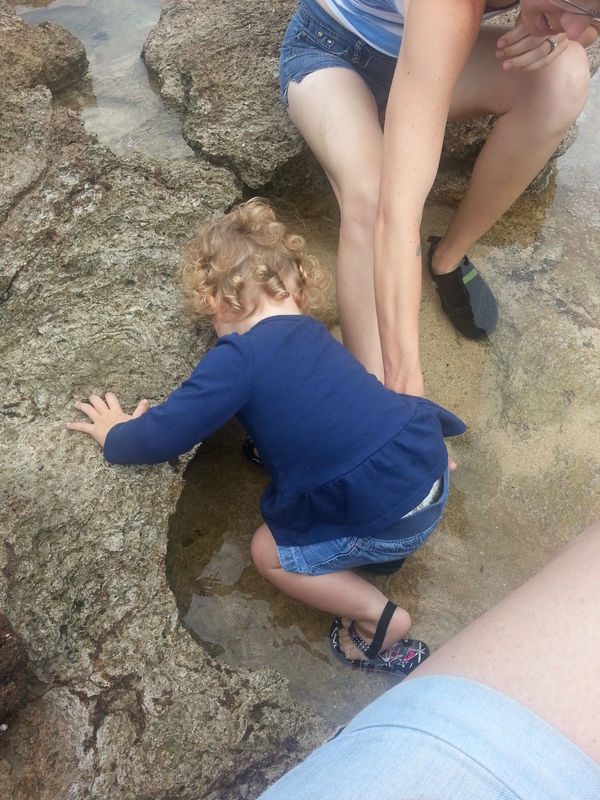 So we found a shallow little tide pool for her to play in. There were these little bitty shells (most of which were homes for some poor critter) and she kept picking them up and handing them to me saying, “Seasha. Seasha.” I can only assume this meant Sea Shell. I can hardly stand her massive amounts of cute.